Help clean up and beautify Cape! 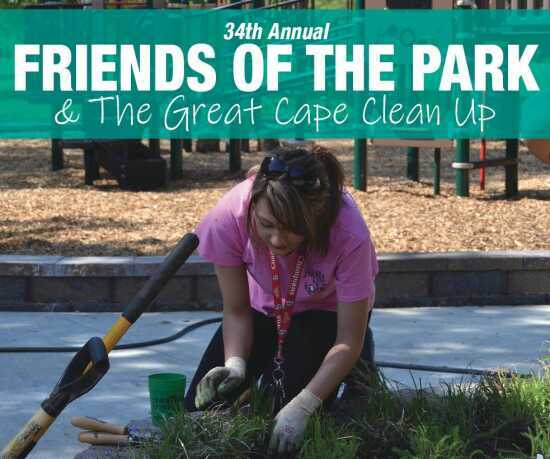 This event requires many volunteers to plant flower beds, mulch playgrounds, paint playground equipment, and much more in various parks around Cape Girardeau. The event starts at Capaha Park shelter 3. Registration begins at 8:30 a.m. and the clean up starts at 9 a.m. Volunteers will be provided lunch and a free t-shirt (sizes not guaranteed and supplies are limited). Please contact 573.339.6340 with questions or to register.